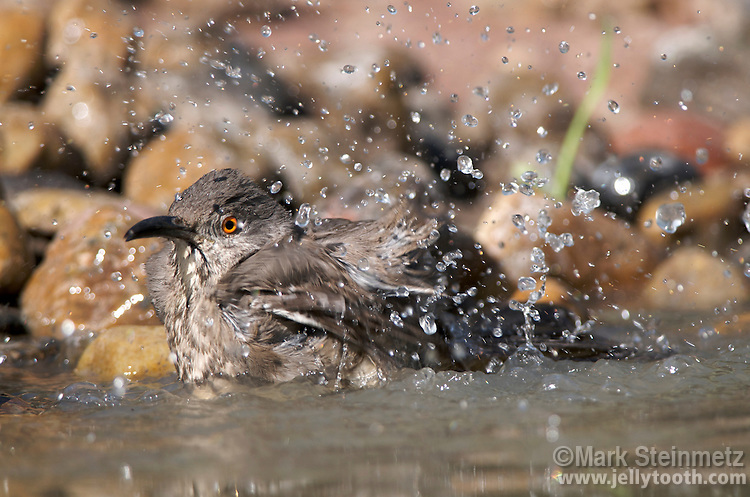 Curve-billed Thrasher (Toxostoma curvirostre) bathing. A desert bird native to the southwestern United States and Mexico. Texas, USA.